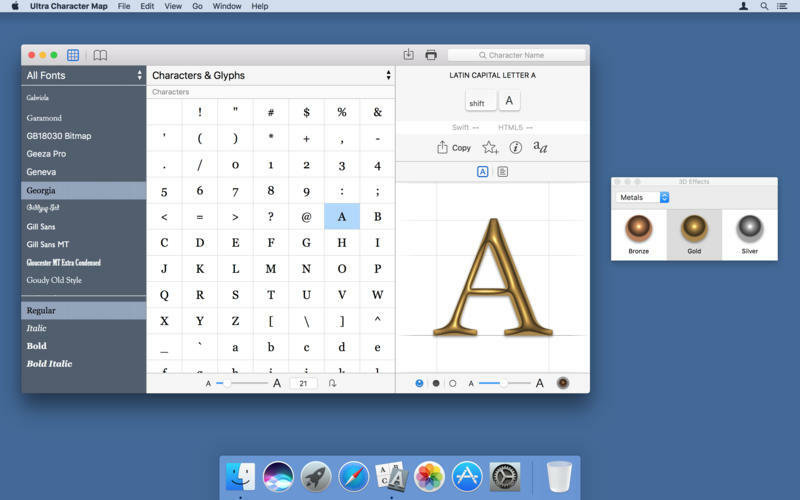 Ultra Character Map 2.0.6 – Access any character or glyph in any font. Compare fonts the easy way. Enter text once, then simply scroll through a list to see a preview in every font. Don’t want to look at all your fonts? You can filter the list by style, classification, collection, or name. Ultra Character Map lets you preview header or paragraph text and includes preset samples to save you even more time. Rediscover your fonts. Looking for a handwritten font? Or maybe for some decorative fonts to spice up your design? Ultra Character Map can use your fonts’ information to show you specific types of fonts, so you can quickly find what you’re looking for. But wait, there’s more. Ultra Character Map lets you pick favorite fonts and characters, view characters or text copied from other apps, view the keystrokes that produce specific characters (even if they require multiple steps, such as “Option-N then Shift-N”), and much more. Next story f.lux 39.96 – Adjusts the color of your display based on the time of day. Previous story Direct Message for Instagram 4.1.4 – Desktop messaging for Instagram. Suitcase Fusion 6 17.3.1 – Font management solution combines Suitcase and Font Reserve.